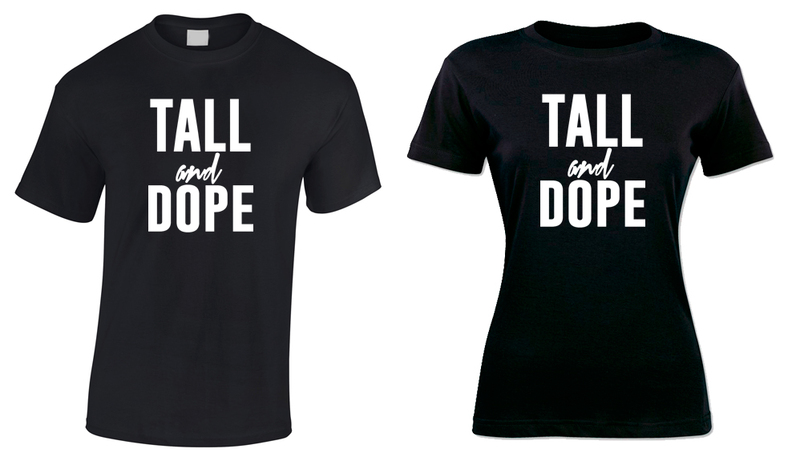 TALL and DOPE T-Shirt COLORS | Tall Tales by Ramona O — Cruvie Clothing Co.
Get your COLOR "TALL and DOPE" T-Shirt’s by Tall Tales here! CLICK HERE FOR BLACK OR WHITE TALL and DOPE T-Shirts! Click Here for Black or White TALL & DOPE T-Shirts!